See the difference with the ProLite LE7540UHS. A professional digital signage display with 4K graphics, 18/7 operating time and an OPS slot. 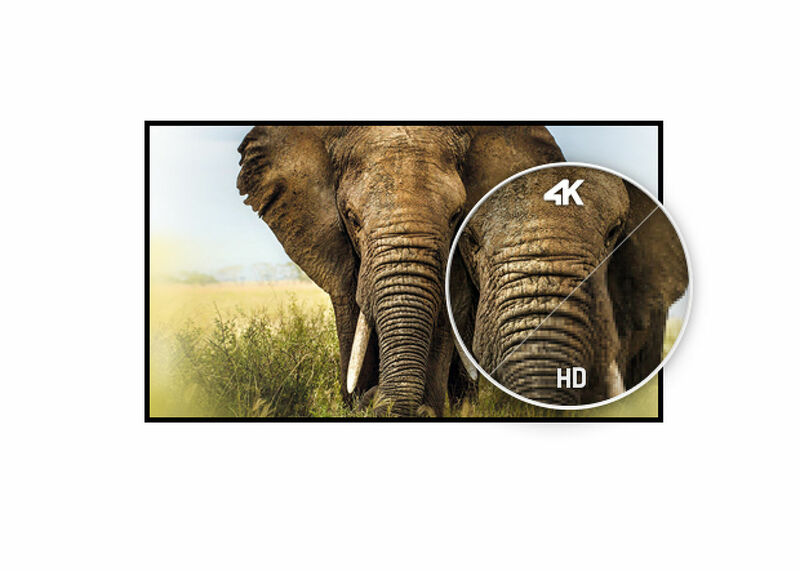 Featuring a slim bezel, an IPS LED panel for exceptional color and image performance and iiSignage, iiyama's free signage content creation and management software, the LE7540UHS offers businesses an easy and effective solution to successfully help them get their message across to the clients. 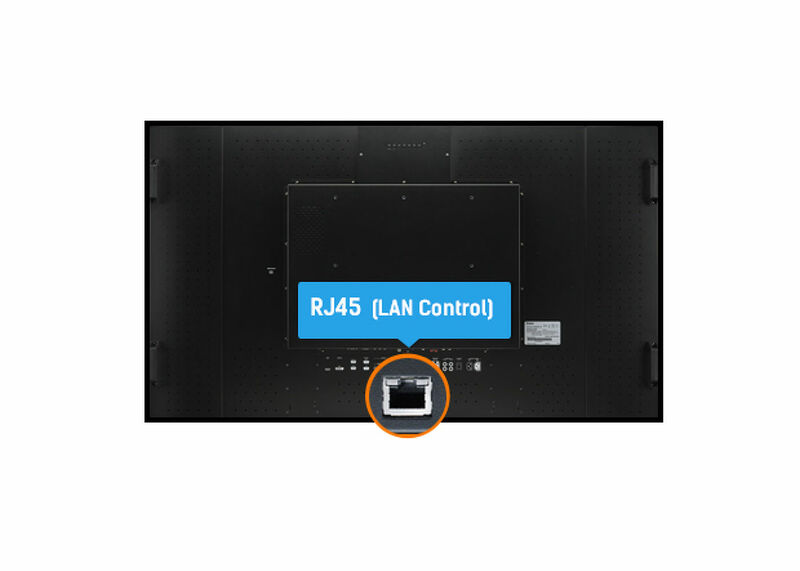 With iiSignage, you can easily create, publish and manage your own digital signage content on any iiyama 40-series display from a desktop PC in the same network. 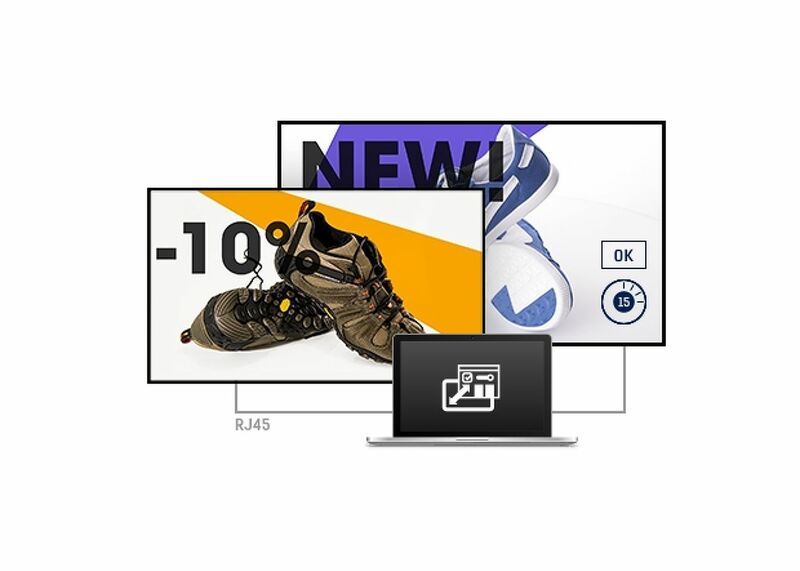 Use rich content like video’s and widgets to create highly impactful advertising in minutes and schedule your content across multiple displays to best match your customers' behavior. 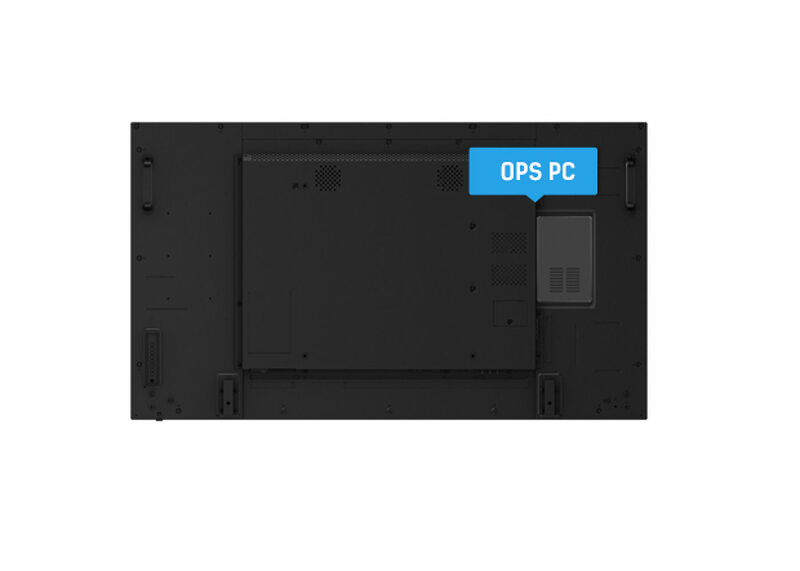 Build in expansion slot supports the Open Pluggable Specification (OPS) standard; it simplifies the installation of a plug-in PC for digital signage applications. 1649.6 x 927.9mm, 64.9 x 36.5"